Don’t waste another day of your life where you could be doing the things YOU want to be doing. 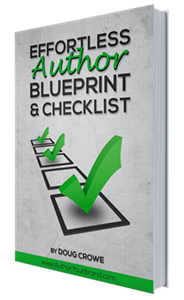 …Become a published (and respected) author this year. How to Market Your Brand and build your audience using your brand as a published author to skyrocket your notoriety. Create Your book... without writing it yourself in just 3 months so that you take take advantage of being an author sooner! How to create nearly Passive Income by providing products and services related to your book. Learn how to Pre-Sell Your Book... BEFORE it’s published to create immediate revenue with instant credibility.